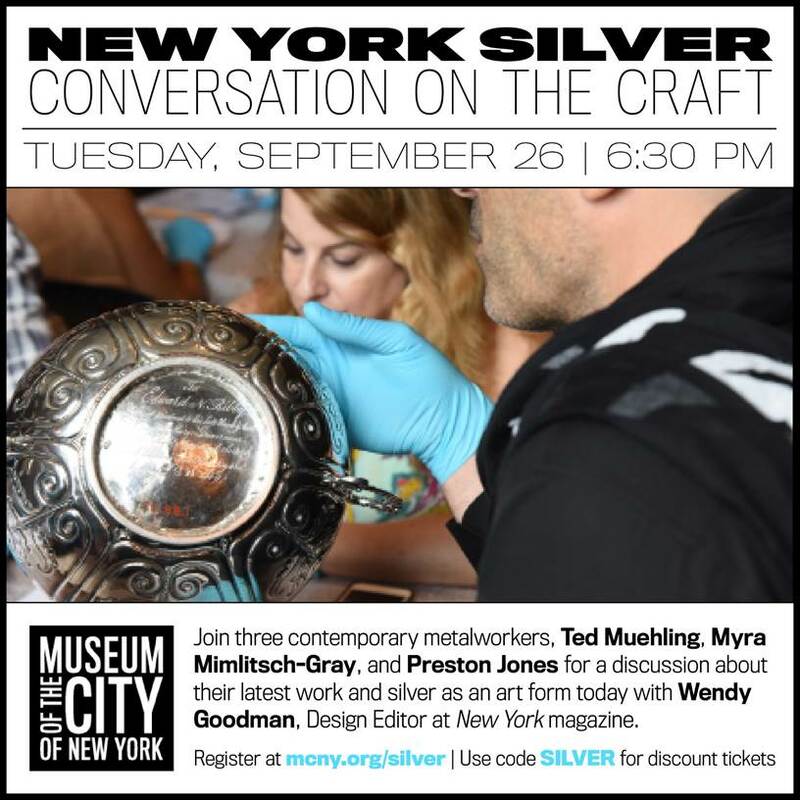 In celebration of the Museum of the City of New York’s new exhibition, New York Silver: Then and Now, join three contemporary artists and metalworkers, Ted Muehling, Myra Mimlitsch-Gray, and Preston Jones for a discussion about their latest work and silver as an art form today with Wendy Goodman, Design Editor at New York magazine. Muehling, Mimlitsch-Gray, and Jones are three of the 24 artists commissioned by the Museum of the City of New York to create new works in silver for this exhibition inspired by the historic pieces in the Museum’s own collection. Register online at mcny.org/silver | Use the code SILVER for discounted tickets. This entry was posted in ADHT Recommends, Events, HOME SLIDER, News. Parsons Highlight: History of Design and Curatorial Studies MA Highlights. Program: History of Design and Curatorial Studies MA. Bookmark the permalink. Both comments and trackbacks are currently closed.